Bungie has released more details about the upcoming Black Armory DLC which includes five new Exotic weapons. In a ViDoc, the team behind Destiny 2 announced that four brand new Exotic weapons would be coming with the Black Armory DLC, alongside one unnamed “old favourite”. Each weapon will link in with different family forges and will have either Japanese, French and Norse heritage. The forges named so far are Volundr, Gofannon and Izanami and each will be released separately over time. For now, let’s take a look at what Exotic weapons are coming to Destiny 2: Black Armory. 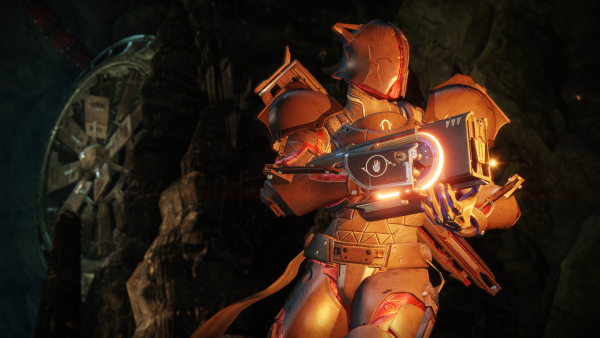 Black Armory will feature a host of new exciting weapons, but these five Exotic weapons are particularly special, not to mention overwhelmingly powerful. Bungie has released the Perks for some of the weapons, though we’ll need to wait a while to learn what the perks are for Jotun and the yet unconfirmed Last Word lookalike. 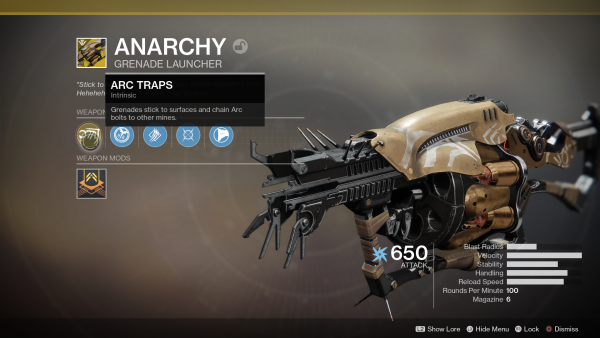 Anarchy is an Exotic Grenade Launcher. Its perk, Arc Traps, involves firing sticky grenades that transfer Arc bolts over to other mines. In theory, you could shoot three grenades around an enemy and that will form a lightning bolt trap around them, which will be incredibly useful during the horde mode activities in Black Armory. 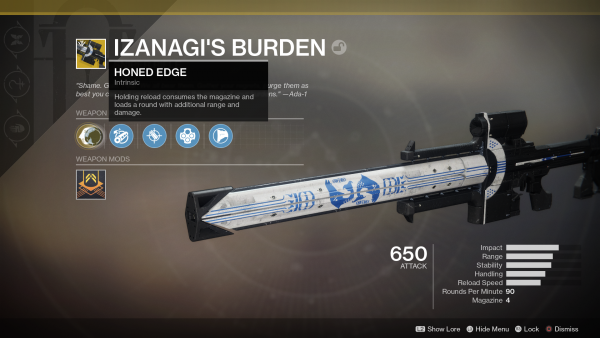 This sniper rifle has been compared to the likes of Sleeper Stimulant and has an impressive perk called Honed Edge. By holding reload, the weapon will consume the magazine and instead loads a round that has additional range and damage. Essentially, it compresses your entire magazine into one powerful shot that’s almost guaranteed to body shot your enemies. 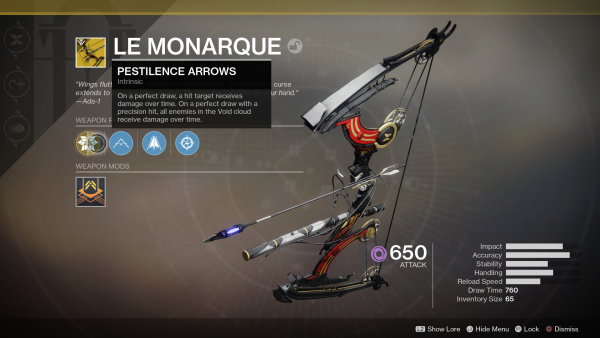 This bow is reminiscent of the Exotic hand cannon Thorn from Destiny 1. Its perk, Pestilence Arrows, involves pulling a perfect draw. On a perfect draw, a hit target will receive damage over time. On a perfect draw with a precision hit, all enemies in the Void cloud receive damage over time. Again, this weapon seems perfect for dealing with horde modes or one particularly challenging enemy. Jotun is a fusion weapon that you wear over your hand, kind of like a souped-up Megaman blaster. It fires fireball slugs that set the ground alight and also allows you to track your enemies, making it all the more dangerous in PvP. The last Exotic weapon is unconfirmed, though we were told to expect a new favourite. Rumours are flying that this weapon will be the Last Word Exotic hand cannon. 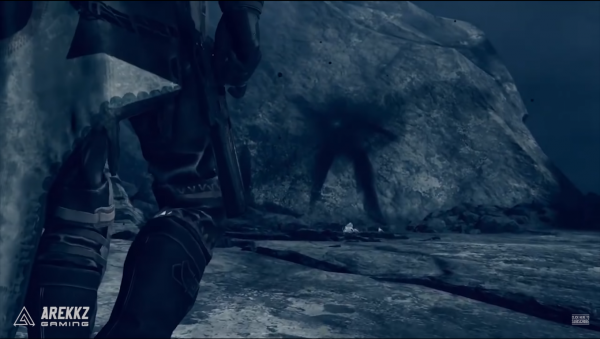 Players have been calling for it to be added since Cayde-6’s untimely demise, and it looks like they might have got their wish. Check out our Black Armory guide page for more tips and walkthroughs, and for everything else check out our Destiny 2: Forsaken guide.